The 1,000 cc engine from the 6 CM racing car was bored out to 1,500 cc for the first "family" car. 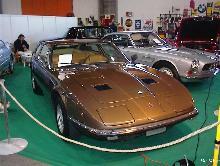 The car was the A6 1500 2+2 coupe, for which the body was designed and built by Pinin Farina, still written at that time as two words. 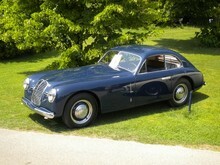 It was launched at the Geneva motor show in 1947. 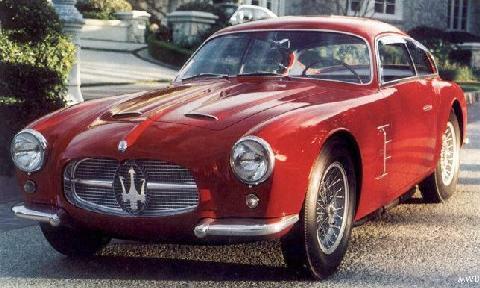 The engine capacity grew in 1951 to 2 litres but there was still only a single overhead camshaft. This changed when Gioacchino Colombo got his hands on the engine in 1952 and give it twin camshafts and three carburettors instead of one of each. This engine was capable of winning races but it was also ideal for normal road-going cars. It was installed in the A6G2000 in 1954.